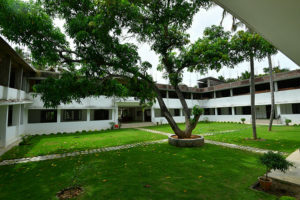 The School of Nursing was established in 2001 after obtaining approval from Government of Tamil Nadu and recognized by the Tamil Nadu Nurses and Midwives Council in order to train nurses to provide high quality nursing care, for meeting the health need of the society and upliftment of the young women from poor socio-economic background hail from rural areas. In 2018, Basic B.Sc. 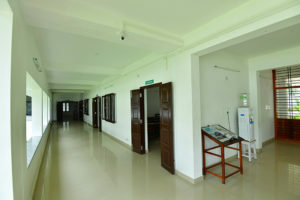 Nursing programme was started after obtaining approval from Government of Tamil Nadu and recognized by the Indian Nursing Council, the Tamil Nadu Nurses and Midwives council & affiliated to the Tamil Nadu DR.M.G.R Medical University in order to enhance the standard of Nursing and quality of care in more scientific way. The college is also proud of its efficient and very supportive teaching and non-teaching faculty. To be recognized as a leading institution committed in preparing nurses for Leadership as clinicians, scholars and educators to meet the health needs of the people. Ensure teaching excellence to prepare nurses and leaders locally and globally who provide evident based patient centered care. We recognize the need for the overall development of the students in order to face the new challenges and utilize the modern technologies in medical sciences. We believe in developing programmes based on sound Educational learning and scientific principles, emphasizing more on clinical and community practices. We believe in providing a strong basic foundation which will enable nurses for further professional growth & development. Render comprehensive Nursing care to individual, family and community regardless of caste, colour, creed, religion and nationality. We believe that nursing education is a lifelong process that applies the concept and theories in nursing and necessitates abreast of knowledge and skill to render maximum professional effectiveness throughout their career. Provide nursing care based on steps of nursing process. To accept responsibility for continuing professional education and contribute for the professional growth and development. To apply and practice moral & ethical values in day to day personal and professional life. To communicate effectively with individuals, groups and members of the health team in order to promote effective inter personal relationship & teamwork. To participate effectively as members of the health team in health care delivery system. To prepare professional nurses who will provide comprehensive health care to public with commitment and compassion. To develop professional nurses who will render service in different levels of health care delivery system. To enhance the professional growth & nursing through continued research process. To maintain the dignity and standard of the nursing profession. The objective of B.Sc nursing programme is designed to prepare the students to perform as competent professional nurses in a variety of health care setting. To utilize the latest trends and technology in providing health care. To provide Promotive, Preventive & Restorative health services in line with National health policies and programme. To practice within the framework of code of Ethics and professional conduct and acceptable standards of practice within the legal boundaries. The minimum educational requirements shall be passing of higher secondary school certificate examination (12 years course). Senior School Certificate Examinations (10+2), Pre-degree examinations (10+2). An equivalent with 12 years schooling from a recognized Board or University with Science (Physics, Chemistry, Biology) and English with minimum 45% aggregate mark (PCBE); for SC/ST candidates the minimum percentage of marks is 40%. Every candidate should submit a certificate of medical fitness from an authorized medical officer that the candidate physically fit to undergo the academic course. A candidate should have completed the age of 17 years at the time of admission or would complete the said age on or before 31st December of the year of admission to the B.Sc (Nursing). Candidates who have passed any qualifying examination equivalent to the higher secondary examination conducted by any other than the Government of TamilNadu should produce an eligibility certificate from the TamilNadu Dr.M.G.R Medical University before seeking admission. 1. The selection of the candidate under management quota for DGNM/B.Sc. (N) will be made on the merit of selection test which will be of 1 hour and thirty minutes duration and shall contain objective type questions based on HSC (10+2) curriculum of biology, and shall also include some questions on aptitude and attitude. 3. On selection, the Candidate has to undergo medical examination and it found fit can join the course. 1. Application form and prospectus can be obtained from the office of Dr. Jeyasekharan Medical Trust, K.P. Road ,Nagercoil – 629 003 on payment of Rs.500/- by Cash or Bank D.D drawn in favor of DR. JEYASEKHARAN COLLEGE OF NURSING, Payable at Nagercoil. This amount is NOT REFUNDABLE. 2. Filled in Application form to be submitted in the college office by hand (or) by post. 3. Candidate should follow the instruction as mentioned in the application form. Certificate, Migration Certificate (other than H.Sc of Tamil Nadu), No objection Certificate (for Foreign Candidates), Community Certificate, Conduct Certificate, Medical Fitness (Original), 6 Copies of recent passport size photograph. 5. In case the information furnished are found to be false (or) the candidate is found to have withheld (or) concealed information in her/him application form she/he shall be removed from the college rolls and fee deposited by her/him shall be forfeited. 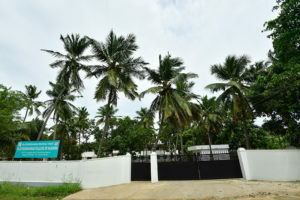 Gurukulam Road, Asaripallam, Kanyakumari District 629 201.